(Halifax, N.S.) – Five winners were awarded Efficiency Nova Scotia’s Bright Business awards today. Streamline Engineering Services, based in Cornwallis, took home the Partnership award (view video). 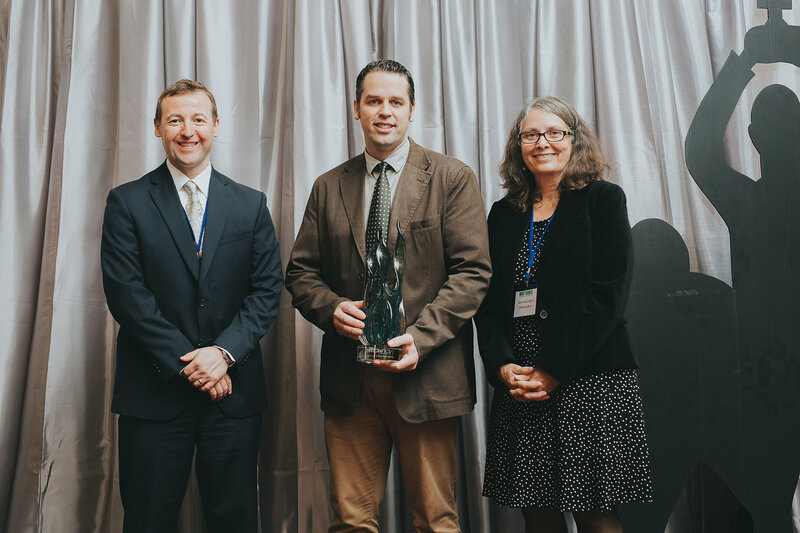 The Partnership award recognizes the outstanding delivery of energy efficiency services, solutions or education by an Efficiency Nova Scotia partner or Efficiency Trade Network member. There are over 150 members throughout the province. For the last five years, Streamline Engineering Services has been specializing in energy assessments for businesses and manufacturers, identifying energy saving opportunities that help reduce operating costs and their carbon footprint. Focusing on compressed air leaks and upgrading to more efficient air compressors, McClelland is helping companies find 50-60 per cent energy savings for these systems, with payback periods typically around one to two years.